L-egant Portraits is just that, elegant images with a touch of edginess, a touch of class, and a whole lot of personality. This is not your basic portrait studio that does an average job. Every image produced here at L-egant Portraits is above and beyond the expectations of my clients. I believe in making each of my clients feel more confident and beautiful than they did before they sat down in front of the camera and it is my job make sure of that. These portraits will represent who you are at this very moment for the rest of your life! ...So choose your Senior Portrait photographer carefully. With one session fee and freedom to choose where you want your portraits taken we can make sure you have more than just a wonderful experience but images that you can't wait to share! 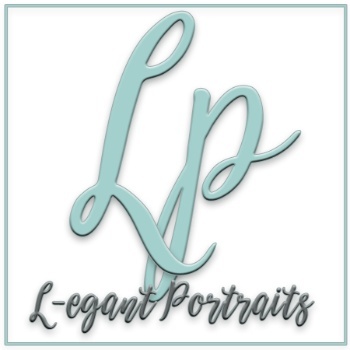 Senior Portraits keep changing but know that here at L-egant Portraits we are dedicated to giving you the finest quality portraits as well as an amazing experience so that you will look and feel incredible! Baby's first year is very important and full of many milestones and we want to make sure we capture all of those moments for you. We have a Baby Plan that will give you everything from newborn to baby's first birthday and anything in between. We know how important it is to create amazing images of your little one as they change so much during the first year. With 3 baby plans to choose from, you will find the perfect one to fit your needs. Along with some great products at the end of baby's first year, each Baby Plan includes the session fees for all of your sessions included in the plan you choose. Your wedding day is one of the most important days of your life. You want to be able to look back at your images and let them sweep you back to that exact moment. From the tears in his eyes when he sees you for the first time, the tears in her eyes when she sees him and grandparents who dance the night away like there is no tomorrow! Whether you want traditional or modern, I will make sure your most cherished moments are captured.